I agree adding cream would be a good choice to the recipe. But otherwise it's a very healthy recipe. Healthy dish Vidhya... usually i make a paste of spinach and add them. Will try this way and also by using cream next time. 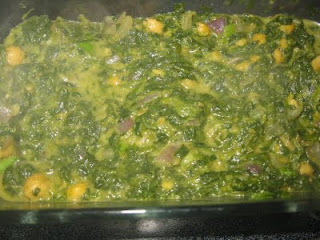 Never tasted channa saag like this before,sounds healthy! I make saag with rajma! never thought of replacing with any other legume. this looks delicious! 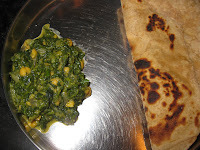 Chana saag is one of my favorites, but I've never run across a recipe before -- this looks good (and I like that you use frozen spinach).